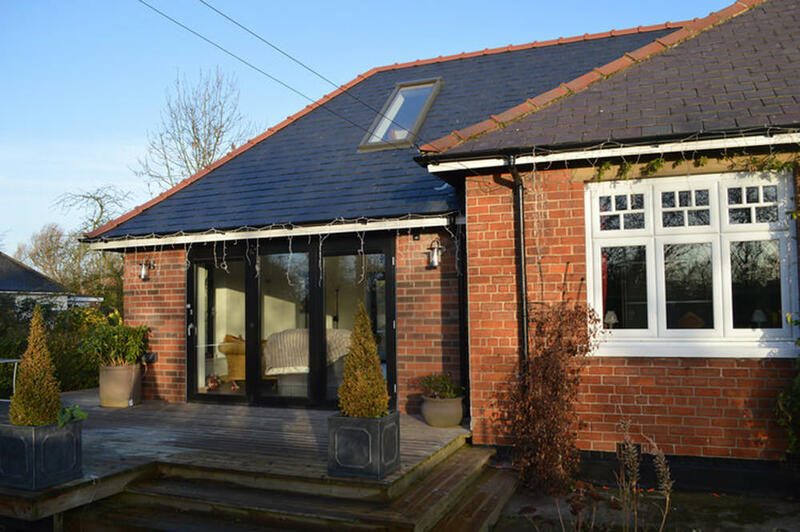 Over the years we have designed and built many extensions both small and large, if you have a project in mind please contact us and we would be happy to help. 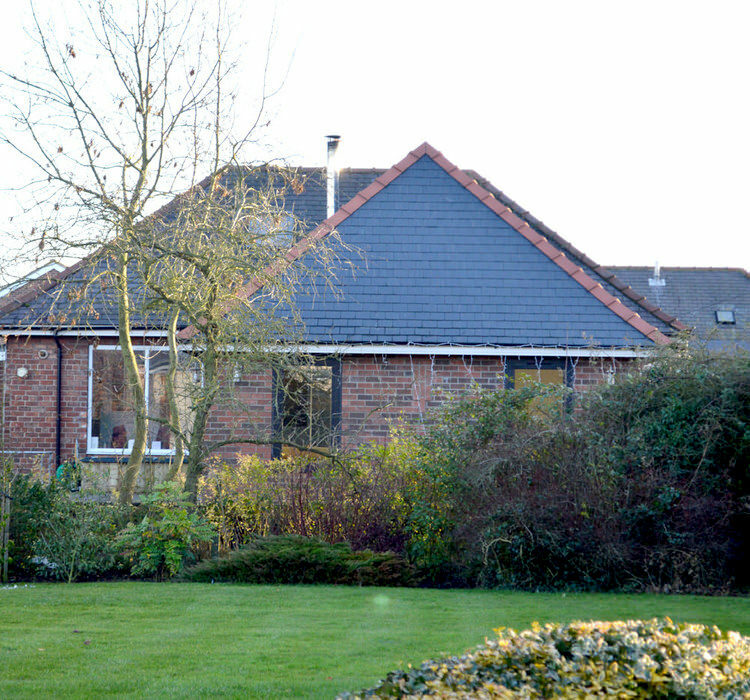 To design and build an energy efficient extension that created a large living area to complement a 1920s red brick bungalow. The client wanted a very robust building that needs little to no maintenance to the exterior or interior. 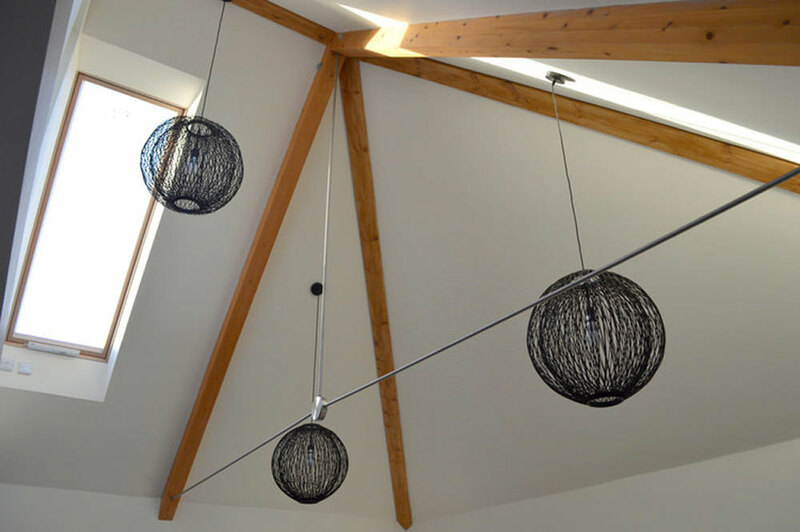 We created a large expansive space with a unique roof truss design that is made possible from large beams of engineered timber that are held together by stainless steel ties. Additional natural light is brought into the space through two extra large roof lights. Also additional floor space was created to allow for a bathroom to be put upstairs. The old existing extension had a large area of unused space all around it, so we designed decking that flowed around the entire perimeter. The decking has two large areas, both at the front and back leading to and from the large bi-folding doors. The decking is at the same level as the interior floor so in summer the extension would be in twice the floor area.